It's that time of year when the weather has been improving and there are a few months of sunshine to look forward to. Summertime can be hit and miss in the UK, so I've not mentioned things like getting a tan because it's nigh on impossible here. I've always loved travelling and exploring new places. My wanderlust just seems to increase in the summer months and I just want to visit even more areas that I've not been before like Santorini and Venice. There is just something about it being sunny outside and wanting to get ready and head out. It doesn't even matter how long for, whether this is for an afternoon chilling on a picnic blanket somewhere or travelling to a new city for a long weekend. 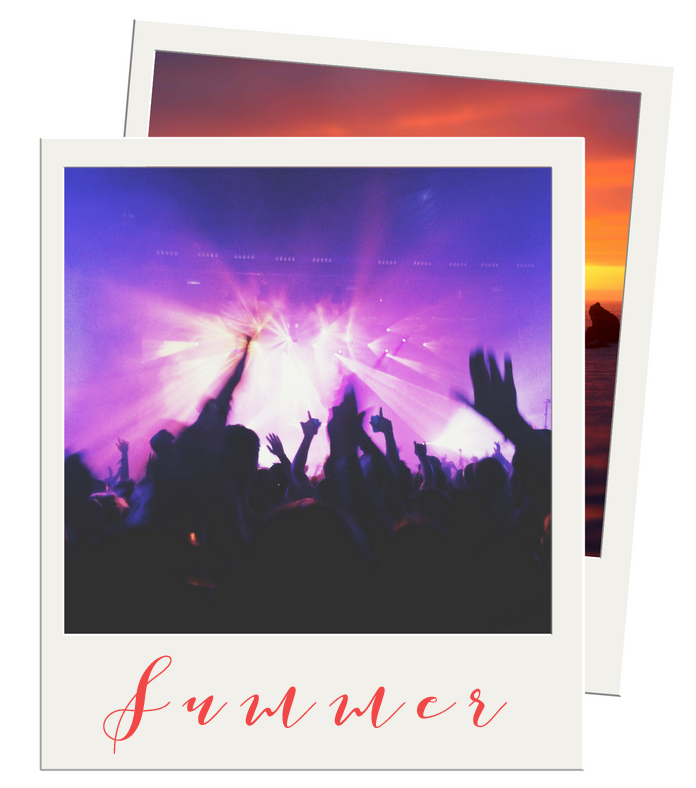 Summer just seems to be when a large number of music events take place. I've been to numerous festivals over the years and enjoy watching music in the sun and sometimes rain given it's England. Include something about loving festivals and its festival season. Quite a few artists will release new content around this time, with Major Lazer having dropped its new single "Front of the Line" at a launch event party thrown in collaboration with BACARDI. If you want to see more from the event including an interview with Major Lazer talking about their summer tour new album then you can check it out in the video below. This time of year opens new opportunities when it comes to cooking. The first one that springs to mind is, of course, BBQ's. I enjoy going further than your typical sausages and burgers and making seasoned chicken kebabs to throw on among other things. There also tends to be so much fresh veg around now which is a great way to improve your home-cooked meals and add some colour to your dishes. Lighting is one of the key elements to getting good photos, so when you have a greater range of lighting conditions it makes for some impressive situations to get photos. Another bonus is that there are so much more daylight hours each day. This comes in particularly useful when you have been out for the day and still need to take blog photos when you get back home. I do own box lights but in a small room there isn't much room for them and the natural lighting works out much better. Having a cool refreshing drink just feels that little bit better when the temperature is high and you're out in the sunshine. One of my favourites is fresh lemonade or pouring out a fruity cider onto a bunch of ice cubes. I also particularly enjoy checking out the range of summery drinks that get released around now. You can't be a good cocktail (or mocktail!) or a glorious pitcher of something refreshing. Doesn't every blogger just love flowers? You may have seen from some of my recent blog and Instagram posts that I've included a number of flowers and they work so well as props and backdrops. I also like having colourful flowers in the house and it can brighten up the room and give the room that summer look and feel. Plus they only last around a week so I have an excuse to pick them up more often.